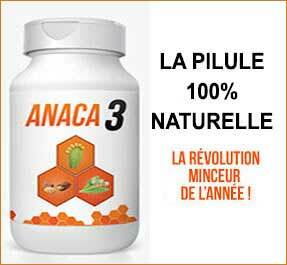 Anaca3 Weight Loss is part of a range of health and wellness products developed in France by Nutravalia. It’s an all natural formulation that does not contain any gluten, it is suitable for both men and women who want to lose weight quickly and safely. Many diet pill manufacturers promise the world and then leave dieters to their own devices after they have placed their order. Nutravalia is different. They give their customers access to specialist coaching and weight loss advice. Artichoke Leaf Extract (500.1mg): The value of artichoke extracts should not be dismissed too lightly. This vegetable supports good health in a number of different ways. It also has the ability to detoxify the body and boost the metabolism. A faster metabolism burns more calories. When the body runs short of calories it burns fat instead. The value of artichoke extract is often ignored by diet pill manufacturers, the fact that it is added here suggests Nutravalia have taken the time to do some thorough research instead of just tossing together a few diet pill regulars. Nopal Extract (200.1mg): Another very good weight loss ingredient. Nopal cactus extract is highly nutritious and its hunger suppressing abilities have been acknowledged for many hundreds of years. Research shows nopal extract is also a good fat blocker. Dietary fat contains nine calories per gram, so the fact that nopal prevents fat from being digested in the first place makes it a very useful dietary aid. Dry Extract of Cola Nuts (15mg): Cola nuts were responsible for putting the “cola” in the original Coca-Cola recipe. These days the soft drink gets its flavour from elsewhere, but diet pill manufacturers continue to use cola nuts because they are so rich in caffeine. As any coffee drinker knows, caffeine is great for delivering extra energy. This makes it useful for preventing diet related fatigue, but caffeine is doubly valuable as a diet pill ingredient because it’s also a proven metabolism booster and fat burner. Usage Guidelines – Three capsules are needed per day—one before breakfast, one before lunch, and one before the evening meal. Customers who want to get the best from Anaca3 Weight Loss are advised to use the capsules in conjunction with diet and exercise and the best way to proceed is to take advantage of the free coaching package provided. Customer feedback is very good indeed. Side effects are unlikely, but Anaca3 Weight Loss is not recommended for children, adolescents, or pregnant or breastfeeding mothers. Anyone who is using medication or has existing health problems should always check with a doctor before using any brand of supplement. The fact that so many people are praising this product is not surprising. It contains some very good ingredients and the fact that only three are involved prevents them from being overly diluted and ensures none of the potency is lost. Although we are confident it will not be needed, it is also great to see a money back guarantee. Anaca3 Weight Loss has the potential to change a lot of lives for the better and the price extremely reasonable. The only problem is some dieters will not be able to get hold of the pills. The restrictions on shipping are a great disappointment, but if you are fortunate enough to live in a country Nutravalia ships to, consider yourself lucky. You are fortunate enough to have access to one of the best diet pills on the market. 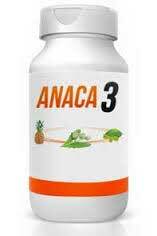 Each bottle of Anaca3 Weight Loss contains a 30-day supply of pills and costs €27.90 (£24). Personnel from the customer services department can be contacted easily via the telephone helpline (9am to 5.30pm, Monday to Friday) and the product is backed by a 40-day money back guarantee. Extrait sec de noix de cola (15 mg): les noix de cola ont été chargées de mettre le «cola» dans la recette originale de Coca-Cola. De nos jours, les boissons gazeuses obtiennent sa saveur ailleurs, mais les fabricants de pilules amaigrissantes continuent à utiliser des noix de cola parce qu’elles sont si riches en caféine. Comme n’importe quel buveur de café sait, la caféine est géniale pour fournir de l’énergie supplémentaire. Cela rend utile pour prévenir la fatigue liée au régime alimentaire, mais la caféine est doublement précieuse comme ingrédient de pilule de régime, car elle est également un stimulateur de métabolisme éprouvé et un brûleur de graisse.